Trisan Indoor starts Thursday April 21, 2016 at 6:00 PM for instruction and 7:00 PM for open flying. No experience is necessary. Location is 25 Dillane Drive, Schomberg, Ontario. The cost is $3.50 per 3 hour session. Visit emfso.org for more information about Electric Model Flyers of Southern Ontario. Trisan Indoor is cancelled Thursday May 5, 2016 due to a community event in the curling rink. 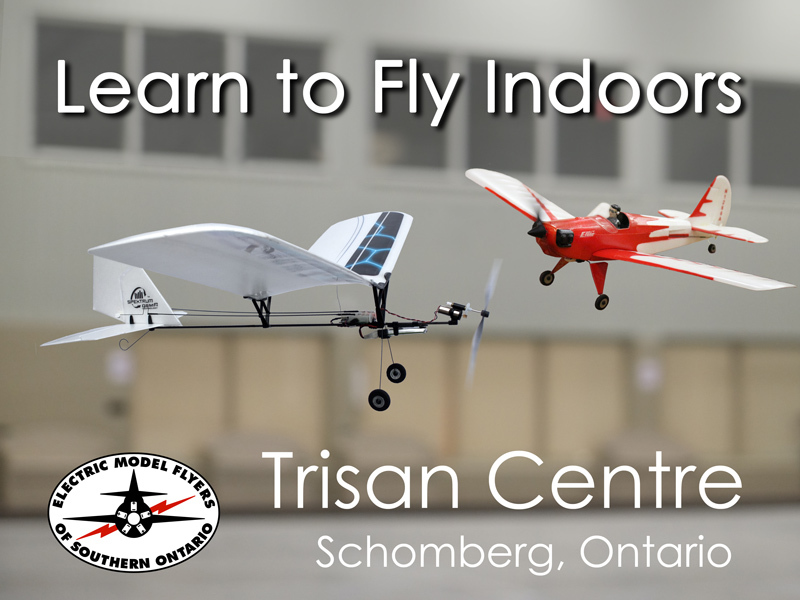 The next session of indoor flying at Trisan Centre is Thursday May 12, 2016 starting at 6:00 PM.